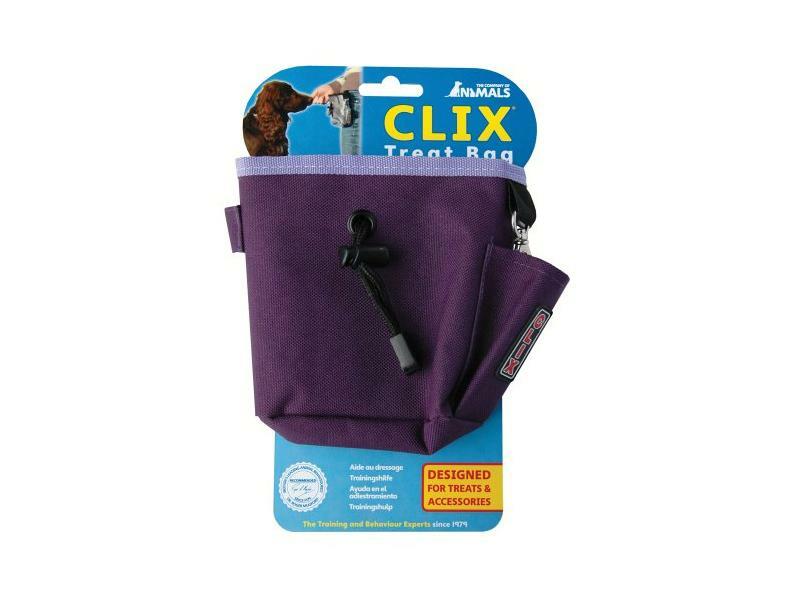 The CLIX Treat Bag is a fashionable device which is ideal for carrying around on the move. It has a wide top opening to allow easy access and a drawstring closure to keep the treats safe. 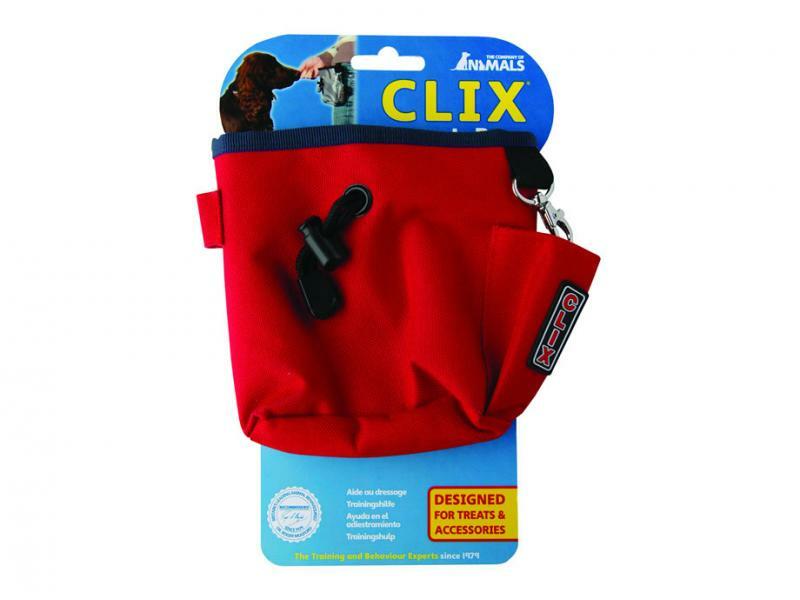 There are also clicker, target stick and whistle holders and a zipped pocket on the back to hide store your valuables. 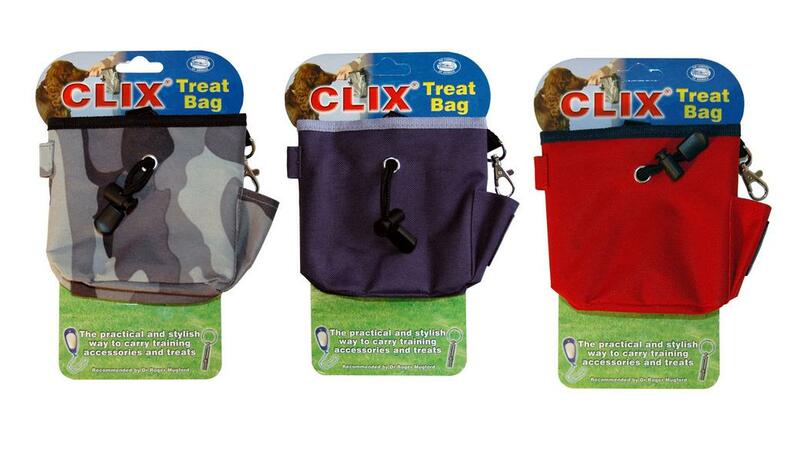 Below are some recent questions we've received regarding CLIX Dog Treat Bag, including answers from our team. How does it attach to you? Clip on? 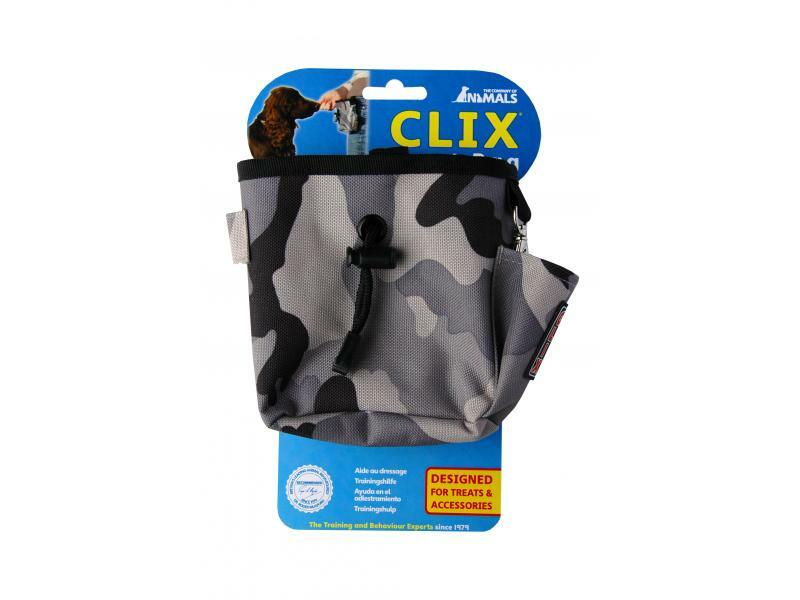 It has clip or belt loop fittings that can be used for attachment.